Got a birthday party and want to entertain your guests? Maybe a wedding routine you want to organise? How about a charity event? Or a team building event at work? Our enthusiastic happy BhangraBlaze entertainment team will get your guests up and moving to some of the best upbeat Bhangra and Bolly music. Our professionally choreographed routines are developed in such a way that they are easy to follow and have a lot of energy about them. You and your guests will absolutely love them. As the routines are kept simple, but still go with the music, your guests can pick them up fast without lots of time consuming practice. We can even do a little bit of on line practice with some of your key guests if you wish. This way the evening will move flow smoothly without guest standing around. Our prices start from £250 (plus travel depending on location) for up to an hours worth of entertainment giving you a choice of a number of our readily choreographed routines. BhangraBlaze can tailor make the event to your requirements and can price accordingly. Here is what some of our clients have to say. 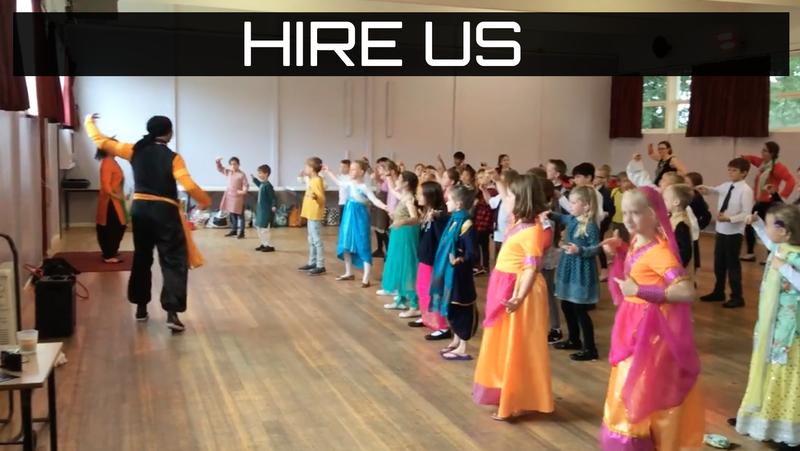 Here are a few clips from a Bollywood themed party where the BhangraBlaze crew got the crowds up and having lots of fun..